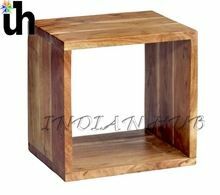 We are offering stylish cubes made up of recycled color wood of size 40x40x30 cms is a great item for decorating your living room. 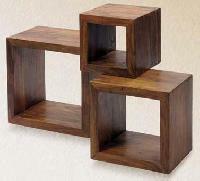 smart 6 cube shleves for smart walls. 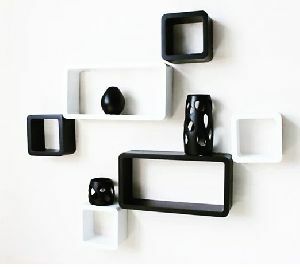 It will orignal mdf imported material .best orignal quality products. Many more colours available. 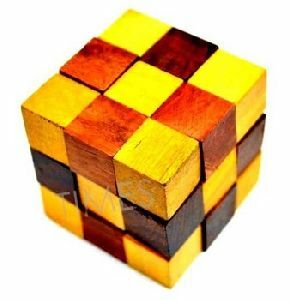 We offer wooden 3d jigsaw puzzle-ball the game contains 10 wooden units. Fix them to form a wooden cube. spread all the pieces on a flat surface. 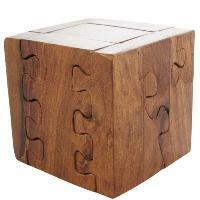 arrange & mount the pieces, to form the shape of a cube. visualize the shape in your mind. 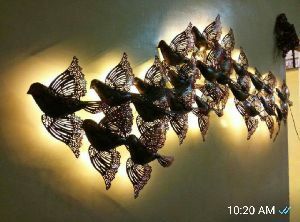 If seeking for purchasing Wall decor at levelheaded prices, contact us! We are a dependable name in this area of operation. In order to keep our offerings in safe and secure conditions, we have developed a storage unit and keep it updated with the defined industry standards. 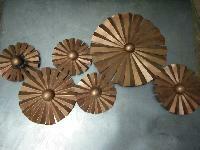 This is wall decore with copper finish and size and finish can be change according to buyer requirement.